The view was fatastic, breakfast was good. love it, hope visit again. No airport treansfer service, the location is in the countryside, not very convinient. I was very dissaponted booked this hotel from agoda recomendation on inside deals. Don't trust the picture, the "lake" is actualy abig stincky sewage with lots of mosquito. don't trust "secret inside deals"
Little cottages overlooking waterway. Who would have thought that Bangkok airport is only 10 minutes away ? Quiet, peaceful, private and relaxing. Great price too! Quiet location. Few rooms. Quiet Quiet Quiet. Nice romance hotel out of way. Few Bungalows on Pond. Great place for couples romance. Quiet. A bit pricey for this kind of Bangkok hotel but if you like quiet and romance and time alone-then this is good for you. I enjoyed my stay and teak wood in all the room. Quiet. Romantic. Only a few rooms total. Teak wood in room. Quiet Quiet Quiet. This is not your typical hotel in the City. Very close to airport and very, very, quiet. Only about 8 private bungalows. But because of this, it is romantic and quiet and the bungalows sit on a little pond area. No internet in rooms, only at front desk. If you like quiet and romantic, this is the place. Simple, not fancy but nice. GREAT for couples. Mini-fridge and cable tv. The only SMALL negative is that the price is a little more than most City hotels that are bigger with more activities around and more than most hotels would charge for same. Having said this--because of out of way, quiet location, it is a nice place for quiet and relaxing with no stress. Bring some food to put in mini-fridge. A nice hotel for romance. Far from Bangkok city (1 hr driving) but very close to new international airport. Most of the Staff there cannot really communicate in English, no hair dryer and insufficient hot water for shower, can find quite a lot of insects inside the room, no proper reception but the staff are friendly and the design of the resort is quite nice. nice clean bungalows, but thats all. food is not so good for the price. wifi only inside main building, not in the bungalows. there is nothing around so you have to stay there or order a taxi. airplane noise was ok. airport shuttle didn't work well as they forget to organize it, after asking a few minutes later they bring us with private car to the airport - so not reliable. we would recommend to stay inside bangkok and take the airport link or stay at another hotel near the airport. not recommendable at all. The free pick up from the airport was little confused as we had to wait and find help somewhere else, asking other pick up people to call the Jumpunta because, I think, hotel missed our booking and wasn't expecting us but they eventually come. The hotel sets by a very peaceful pond, the room, which is actually more a mini cottage, is big with a private terrasse looking at the pond, they look brand new and beds are incredibly comfortable, bathroom is big! Breakfast was good and filling. Good place for a stop over to rest if you want to escape Bangkok. Nice view and beautiful place. 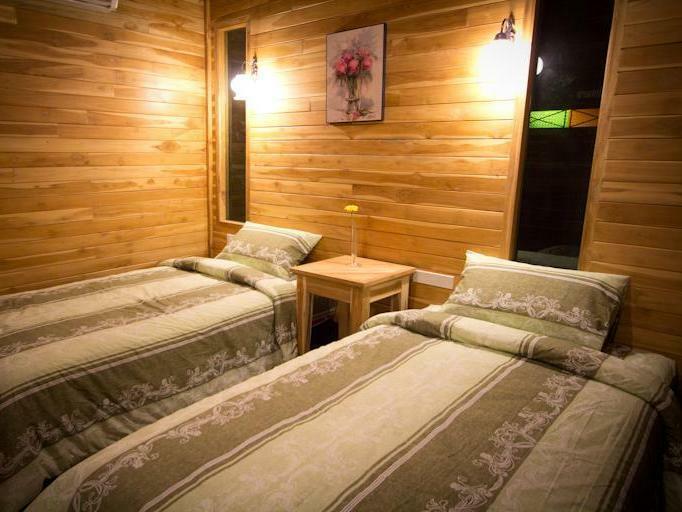 The hotel has nice wooden bungalows, beautifully designed, and very close to airport. But no wifi signal everywhere. I usually contact the hotel directly after each booking with Agoda. This ensures inns/hotels can see my booking in their system. It was a bit hard with Jumpunta because they did not readily respond to my email. After reaching out to Agoda about my request, Jumpunta emailed me that they will fetch me at Gate 3 of Arrival. They got the timings and hotel bed configuration correctly despite the language struggle. Khun fern who fetched us in her strawberry car + 1 Camry was very nice. Breakfast: Boiled rice with chicken, bread plus jam, unlimited coffee, while taken in the resorts ledge-like restaurant was a treat for my work-tired body. Check-in 12:30am/Check out (no steady time): Was a breeze, you just have to tell Khun Fern your time of departure and arrival. I asked to be dropped off at nearest Airport Link since I will be taking my family to my next hotel in the city. She gladly brought us and bid us farewell with her warm smile. If I will arrive again in Suvarnabhumi after airport link hours, I will gladly stay at Jumpunta. Nice, friendly staff, nice gardenview. Our first time at this hotel, but it will not be the last. We travel to Thailand often, and we always have a last night in Bangkok because of early morning flight back home (Norway).. The staff was wonderful, very friendly ! They gave us well tasted Food on the balcony , and we enjoyed watching the "made" lake and sunny afternoon. We just took a shower all the time too keep cool. Very comfortable bed and a good night sleep before a friendly helpful driver took us too the airport free of charge. We will come back. 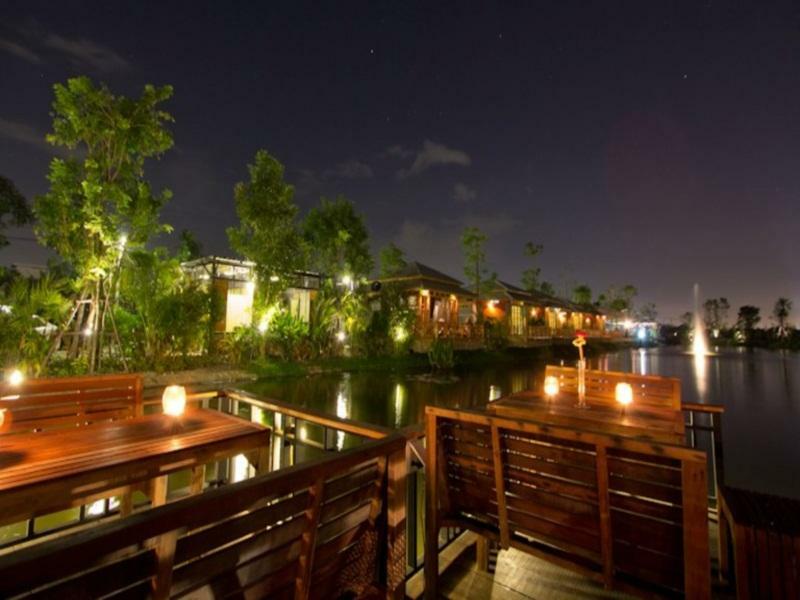 The resort sits on a man made lake which is peacefull yet only minutes from Suvarnabhumi airport. The owner and staff are extremely attentive and you are made most welcome. 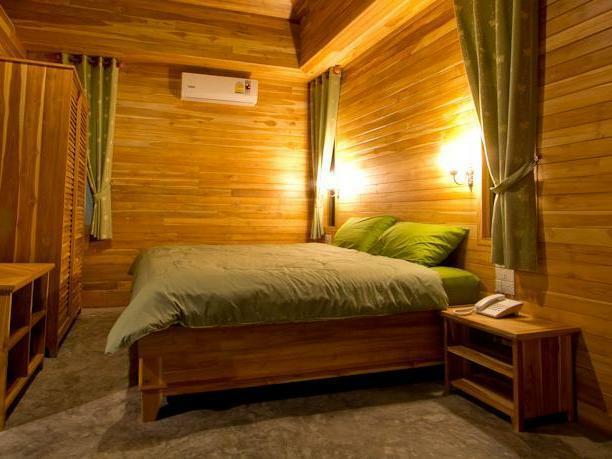 The rooms are individual units and very private with a sitting area outside overlooking the lake.